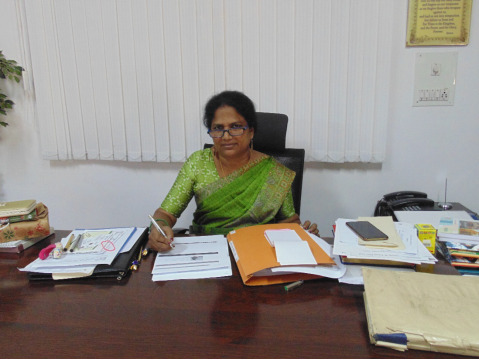 St. John's High School, Bangalore-Welcomes You! St. John's is firmly committed to the cause of education with emphasis on innovative concepts and techniques. 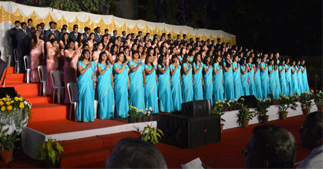 The School inculcates a strong sense of nationalism in its students and appreciation of Indian art and culture. Along with intellectual nourishment, the school's curriculum incorporates a rich , cultural and aesthetic program . Students are given ample opportunities to explore their hidden strengths and potential . Most of the activities are channelised towards giving students an insight into their true personality. A wide range of activities and competitions like debating , elocution, singing , dancing , painting , dramatics, instil a sense of leadership and self- confidence in them. 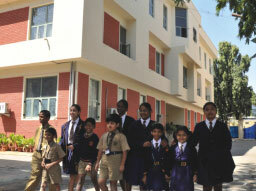 From its inception , the school has maintained high academic standards and the school is proud. In order to achieve its consistent 100 percent success rate in the ICSE and ISC exams year after year, the school places equal responsibility on the students, teachers and parents as well. Oh! Praise the Lord – He is good; His Mercy endures forever! CELEBRATION OF 25 YEARS OF SERVICE.